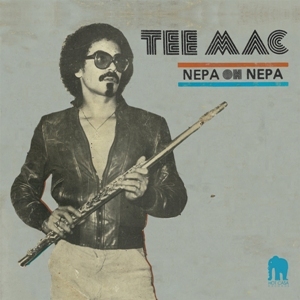 Tee Mac is a Nigerian multi-talented maestro flutist with cross-cultural Itsekiri and Swiss roots. He combined his first degree in Economics from the University of St. Gallen in Switzerland, with a specialization in classical music concert performance and philharmonic compositions at University of Lausanne. During a rich career spanning over 40 years, Tee Mac formed numerous bands including Tee Mac & Afro Collection in the 1970s with notable Nigerian artists. He recorded his first LP, United, for Polydor International in Germany, with his European band, Tee Mac United, in the late 70s. And he then hit the global music charts with two songs, "Fly Robin Fly" and "Get Up & Boogie", touring extensively with his third band, Silver Convention. With the agreement of the artist we decided to select the best of his repertoire. The long awaited Tee Mac’s “Best Of“ is also a reality at last: juicy, hot, explosive and threatening to shatter all existing records. In order not to bore you with tell tales, let’s get into the heart of the album: We selected seven beautiful and rare tracks from his albums, Party Fever (1978), Mixed Grill (1979) and Night Illusion (1980). With top musicians individually displaying their skill and collectively delivering a classic repertoire. And we hope a bumper harvest for Tee Mac Omatshola Iseli within the next decade.